Open Listary Options – General, and change the Default File Manager setting for your file manager. If you use Directory Opus or Total Commander, you can choose it from the drop down menu for sample settings. For advanced command line parameters, please check the documentation of your file manager. Search for files and folders. In a 3rd-party file manager, you can press the hotkey Ctrl x 2 to activate Listary to search. If the search result is a folder, it’ll be opened in the current file manager window automatically. Find-as-you-type only works in certain file managers (e.g. Directory Opus). 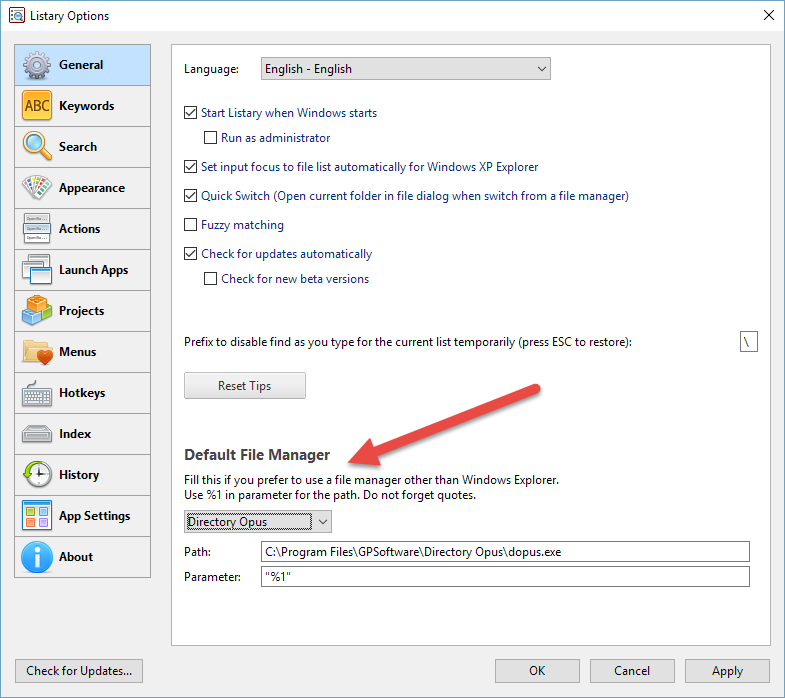 Open Listary Options – App Settings, select your file manager from the list, and then change settings on the right pane.